As a self confessed beauty junkie, I like to try a lot of products. But because I live in Ireland, I'm not always able to get my hands on all the products that I see on American blogs or Youtube videos. This annoys me greatly and gives me a grand case of "I wanna try that". I know we can buy a lot of things online these days but I still love to be able to see the products in person and touch, swatch, smell, taste (not taste, am getting carried away with myself) them. I don't buy a huge amount of make up online and when I do, that's where blogs come in. I rely on them hugely for swatches and have my tried and tested blogs I use for photos and swatches. With that being said, here are some things I wish we had here in Ireland. The whole shop. I'm in two minds about this to be honest. I love Sephora so much it hurts and it's my second home and special place when I'm New York. I can spend hours in there happily swatching and spraying myself with all of the products. I would love it so much if they had a shop in Ireland. But then on the other hand, would it lose it's sparkle if I had access to it every day? I know for an actual fact that I'd be constantly broke so that's a point for not having it here, but on the other hand, I'd be constantly happy, so that's a plus. I'd probably get fined for loitering, minus a point. I'd have all of the amazing products, total plus point. I don't know! I picked two up on my travels to New York and keep one in my handbag and one on my desk. They're perfect for adding a little lick of colour if you will and I love them for days where I'm not wearing much make up and like to call it my fresh faced look when in fact I didn't have time to put on a full face. I'm not hugely sad about these though because The Body Shop have similar lip balms that I reviewed here so I can get my fix there when I run out. And I think I saw some similar ones on the Essence stand recently too that I must check out for blogging purposes. I want all the Tarte things here so I can swatch to my heart's content. I know you can buy them online but I still want to be in the same room as the products so I can see what they look like. I did go a bit Tarte crazy in New York and yet I wish I'd picked up more bits. Ah well. Someone bring Tarte here and we'll all love you long time. Products from brands we have already have here. Let me explain. We have Lancome here. Everyone knows that. But when I was in New York, I picked up a gorgeous blush/bronzer/highlight trio and had to stop myself buying more than just one! I'm now raging I only bought the one and live in hope that they'll make their way to Irish soil. A few weeks ago I saw British Beauty Blogger's Jane announce that Bioderma was coming to the UK. This filled me with glee as a) I've been wanting to try this for ages, b) shipping for this is usually astronomical and c) usually what arrives in the UK makes it's way to Irish shores. 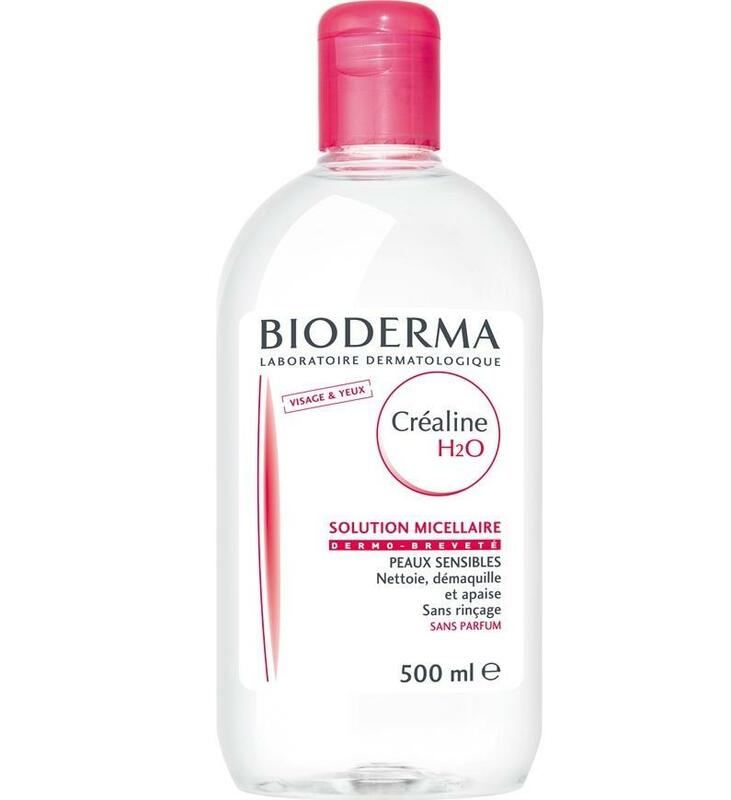 Alas, a quick email to Boots told me that there are no plans to bring Bioderma to Ireland. Boo hoo. So it just means if I head up north, I'll have to stock up. What do you wish we had here that you could touch with your own hands? I'd love Illamasqua too! Forgot about them and they're the type of products you'd need to touch and swatch! I'd love to have Caudalie here (I've seen range of Nuxe but I prefer Caudalie rather than Nuxe) and also Bioderma range. So sad that I only had a cabin luggage and couldn't grab two bottles of that Bioderma with an amazing offer. I think Space NK in Harvey Nichols have Caudalie too. Oh to be near Paris and be able to get all the French pharmacy goodies! When I moved to Madrid I was so excited to see that have numerous Sephora stores scattered around the city, spent so much time in there but now it just feels like I'm popping into Boots or something when I go there so the sparkle has faded for me anyway! There's one in Alicante too but it's not the same sure it's not! The New York one is something else and your experience now makes me think that I'd definitely lose the sparkle if I had it in close proximity! Ooh NYX is a good one! Definitely agree about Tarte, I definitely regret not picking up more of their blushes! I would love Sephora here as it's great to have all of the brands under one roof, but I think it wouldn't be as special if it did come here, but I would still love to have it here! I wish we had a lot of the drugstore products we don't have here- like Covergirl and Wet n Wild! I'm ok with the Covergirl as Max Factor is the sister company and we usually get their launches, a bit later but not too bad. I'm raging I only picked up a couple of Wet n Wild bits when I was over there! TOTALLY with you on Sephora and Tarte!!! I know... Just think how broke we'd be if we had Sephora down the road? We would love Tarte long time! ;) I wish MUFE was a bit more readily available too! It's such an effort to get MUFE stuff for me. Oh sigh this is a list that has me pawing at my computer screen, Im with you on Sephora I just want all of it, I was in their store in LA and I just wanted everything! I also love that Maybelline! Sephora can be very overwhelming but us pros can rifle through everything and find the good stuff, which is pretty much everything! That really stinks about Sephora. The things we take for granted! Is there a Sephora like store out there that you can use? I miss physicians formula and nyx SO MUCH!!! Make up in general is way cheaper over in America/Canada too, I remember they had Rimmel mascaras for 4 dollars!! Have to say I am well jel of your Tarte collection. I would love to spend a day in Sephora, although my credit card is groaning at the thought. 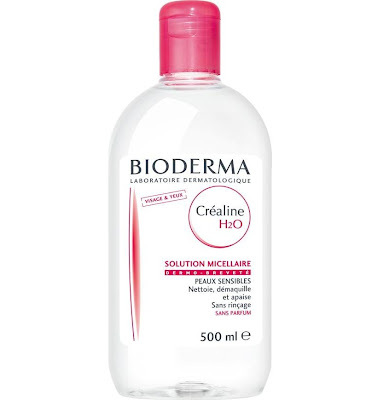 Yes, I definitely want Bioderma. Tesco have Maybelline's Baby Lips now! I got one the other night.